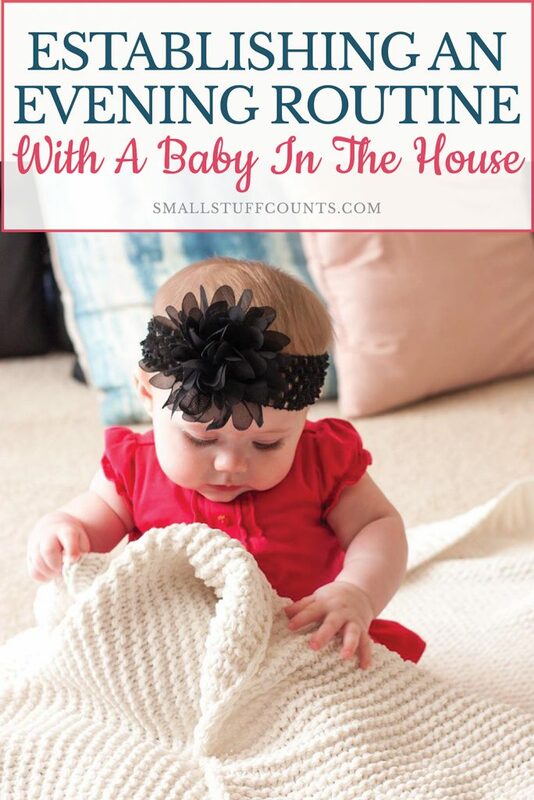 Wondering how to create an evening routine with a baby in the house? Our baby is now nine months old and I’m sharing my first-hand experience with how evenings look in our household. 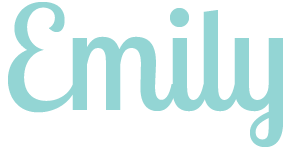 I hope this is interesting to you and helpful to expecting or new moms looking for ideas to simplify your own evening routine. Chloe turned nine months old last week and I can’t stop wondering where the time went. I know that’s cliche, but she has grown up so fast! It doesn’t seem possible that a year has already passed since I was in my second trimester and researching anything and everything about babies. 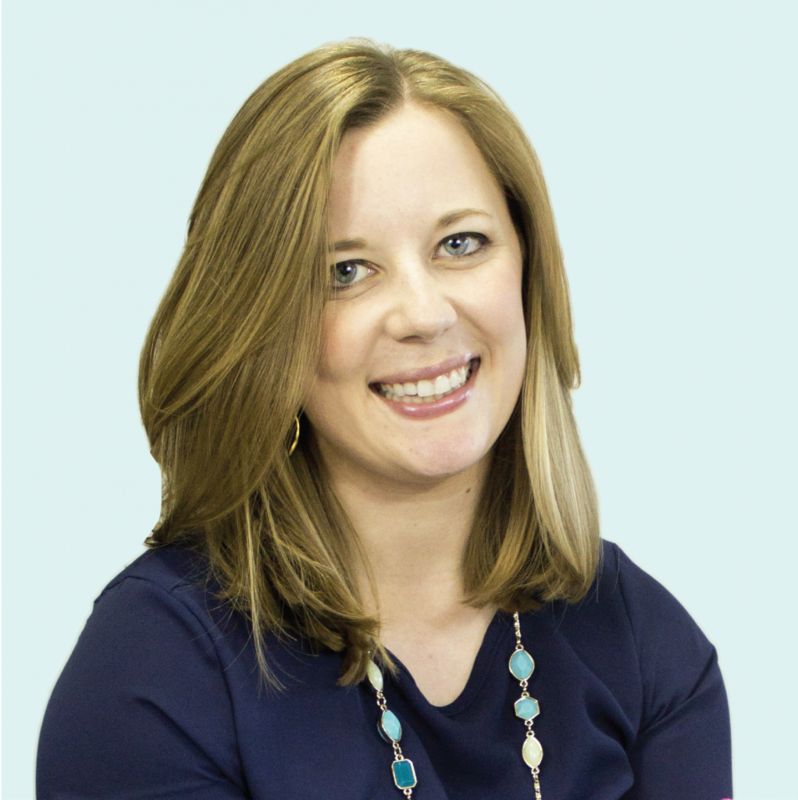 As a first-time mom, there were so many unknowns. I was nervous about the actual giving birth part, but I was even more nervous about not knowing what to expect our life would be like after we got home from the hospital. Would we really not get any sleep? Are we sure we have enough baby clothes? 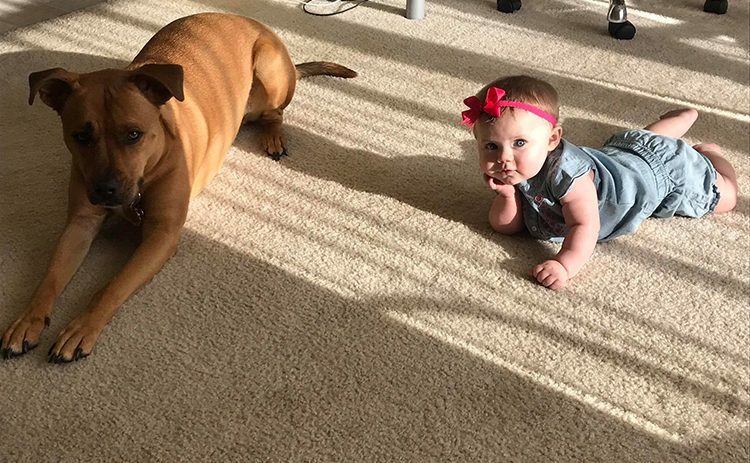 How’s the dog going to react to a little sister? And how are we going to manage it all when I go back to work? Would I have time to care for and bond with my baby while keeping up with everything around the house and at work? Those are just a few of the dozens of questions I came up with on a daily basis. 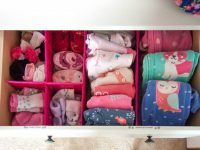 And as someone who thrives on routines and planning, it was hard for me to come to terms with the fact that I had no idea how our life would go with a baby. Motherhood is a constant balancing act and things won’t all go smoothly, that’s for sure. 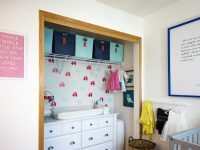 During my pregnancy, I think I read every blog post out there about routines with a baby in the house! And what I discovered is that no one’s experience was exactly the same. Every family is different, every baby is different, and therefore everyone’s routines are also different. I will never claim to know the perfect routine for life with a baby, but I thought it may be helpful or interesting to you if I shared our personal experience. 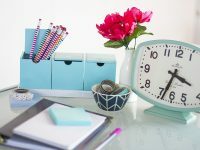 Several readers have asked me to share my experience with establishing routines now that we have a baby in the house, and I’ll be honest, I’ve been hesitant to share up until now. I definitely don’t have it all figured out so I don’t feel like an expert in the least, but after nine months of us learning how to do life with a baby in the house and adjusting routines along the way, I feel ready to share what’s worked well for us. 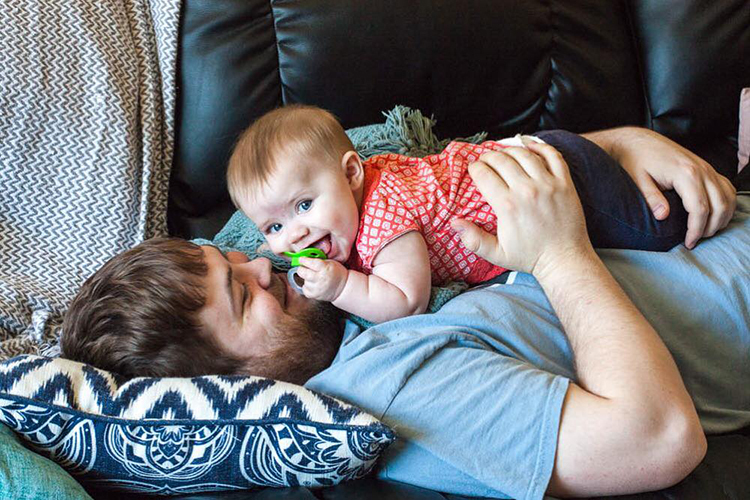 So when I was asked to share how JOHNSON’S® baby products fit into our daily routine, it seemed like the perfect time to share our family’s current evening routine! With both of us working full time and Chloe in daycare during the day, we try to make the most of our evenings together. Although it can be stressful and chaotic sometimes, I am so grateful for that time we get to relax and bond as a family after work every night. Here is a look at a “typical” evening in our house (if there is such a thing!). Chloe is usually very anxious to nurse right away, so I change out of my work clothes and get situated on the couch with her as fast as I can. David feeds our dog, Freya, and lets her out in the backyard. Breastfeeding sessions took up a lot of my time early on but have gotten progressively shorter as Chloe has gotten older. Now she usually only wants to nurse for 5 or 10 minutes, but for those first few months after I went back to work, I tried my best to have something ready to shove in the oven the minute I got home so dinner could be cooking while I nursed Chloe for what felt like forever some days. After the baby and dog are both fed, I work on dinner while David keeps them entertained. We usually sit down to dinner around 6:45 p.m. This is the main time of day when David and I catch up with each other so I always look forward to that time around the dinner table. I have so many fond memories of our dinner table growing up and hope to always make family dinners a priority in our home. Early on, Chloe would have usually fallen asleep by this time and she would nap in the swing while we ate. Now she joins us at the table for meals and enjoys a combination of baby food and table food. After we’re finished eating, I try to load the dishwasher and do most of the dishes right away. I’m not perfect at this, but it’s been a big goal of mine to keep the kitchen cleaner this year. It’s so much easier to stay on top of things rather than having to catch up on dishes over the weekend! David plays with Chloe and Freya while I clean up the kitchen and prep everything we need the next morning. I pack lunches for David and I and stick them in the fridge. I wash the empty bottles from daycare and refill them with breastmilk I pumped during work. Then I stick the bottles in the fridge and wash my pump parts. On Friday evenings, I put any extra breastmilk in the freezer. I love doing all of this right after dinner so I can relax for the rest of the night. It’s also such a nice feeling when the kitchen is clean! David and I typically alternate baby duty on weeknights. I work on my blog or other projects two nights a week while he gets one-on-one time with Chloe. Then I watch her the other two weeknights while he does his own thing. We’re both introverts and really value alone time to recharge, so this rotation works very well for us. I normally play with Chloe on the living room floor or cuddle with her on the couch while watching TV. I give Chloe a bath a couple nights a week, so on those nights she and I head upstairs to the bathtub before we start winding down for bed. I really enjoy bath time with my baby girl. It forces me to put down my phone and focus on her 100 percent so I feel like we really get to bond during baths. We gave her a bath in the sink using a Blooming Bath for nearly four months until she outgrew it, and then we moved her to a plastic baby bathtub that sits in our actual bathtub. One constant in every single bath for the past nine months has been JOHNSON’S® baby bath products. 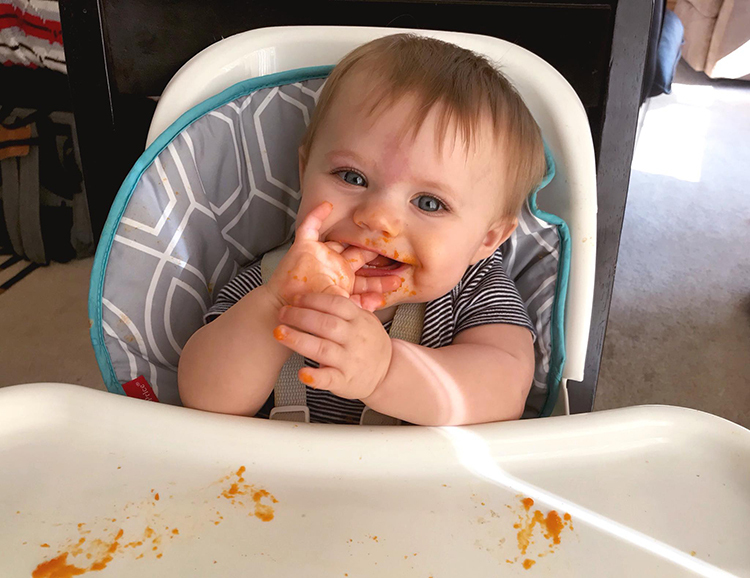 We began using JOHNSON’S® as soon as we came home from the hospital, and I’m excited to learn that JOHNSON’S® has recently reformulated their products, inside and out, to set a new standard for gentle. Our bathtimes now include JOHNSON’S® Bedtime Moisture Wash and JOHNSON’S® Bedtime Bubble Bath. Chloe absolutely loves bath time. She is currently discovering the fun of splashing the water and playing with bubbles. It’s amazing to watch her excitement as she discovers new things! 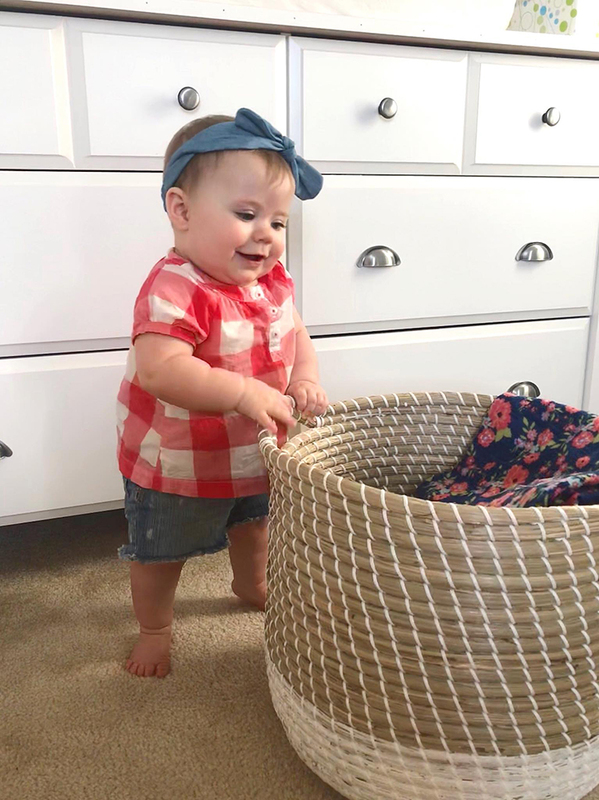 Deciding which products to trust on my baby’s delicate skin was a daunting task as a new mom, and I chose JOHNSON’S® because they have no parabens, no phthalates and are hypoallergenic. And their new formula, which you can find at Target, is made with 50% fewer ingredients! Stop by your local Target on August 26, 2018, for an in-store sampling of JOHNSON’S® Cotton Touch and Bedtime Baby Lotions. I’m told they will also have coupons for shoppers! You can also save on JOHNSON’S® products at Target between August 12 and September 1, 2018, when they are offering a $5 gift card when you purchase three JOHNSON’S® baby products. Once we’re finished with bath time, I wrap Chloe up in one of her fluffy towels and carry her into the nursery. I dry her off and put on a clean diaper before giving her a gentle massage with JOHNSON’S® Bedtime Lotion. The massage helps her relax and quiet down before bed, and I feel good knowing the lotion leaves her delicate skin feeling soft and smooth. Once she’s cozy in her pajamas, it’s time to settle in for some quiet time. I love the nights when we have time to curl up in the chair in the nursery before bed. 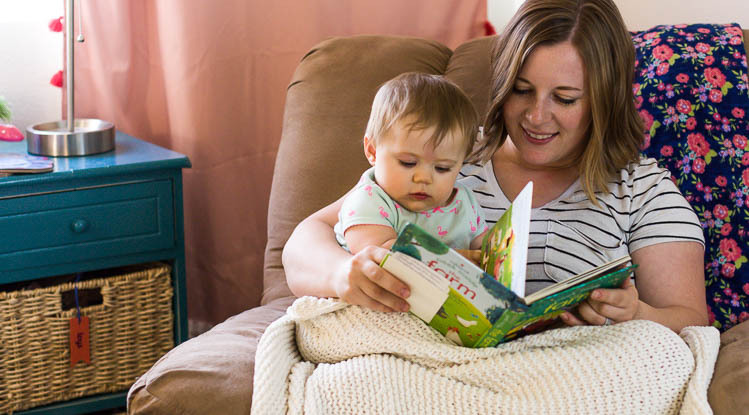 We keep a big basket of books nearby so we always have plenty of stories to read to our baby. She drinks a big 8-ounce bottle of formula around 9:00 every night. We established this routine early on and it’s worked well for us. We’ve found that the bottle of formula fills her up before bed so she sleeps more soundly. David usually feeds her this bottle which gives me a welcome break from breastfeeding. Chloe regularly falls asleep between 9:30 and 10:00, although she is a baby so our bedtime routine definitely doesn’t always go according to plan! One of us cuddles with her until she dozes off in our arms. 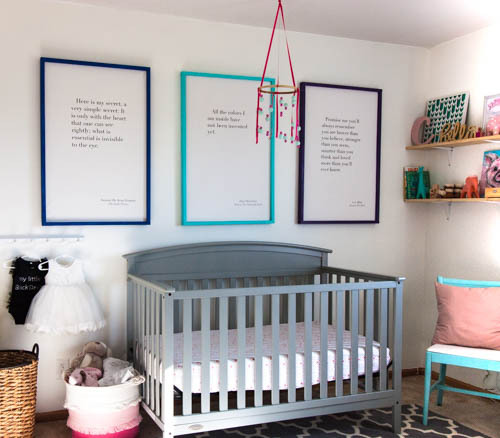 She slept in a Rock n’ Play by our bed for the first five months of her life before transitioning to her crib in the nursery. There’s not usually much evening left after Chloe falls asleep since we are typically in bed by 10:30 or so. If it’s a rough night where Chloe won’t fall asleep, David will typically stay awake with her while I try to get some sleep. And then if/when she wakes up during the night, I will get up and nurse her back to sleep. 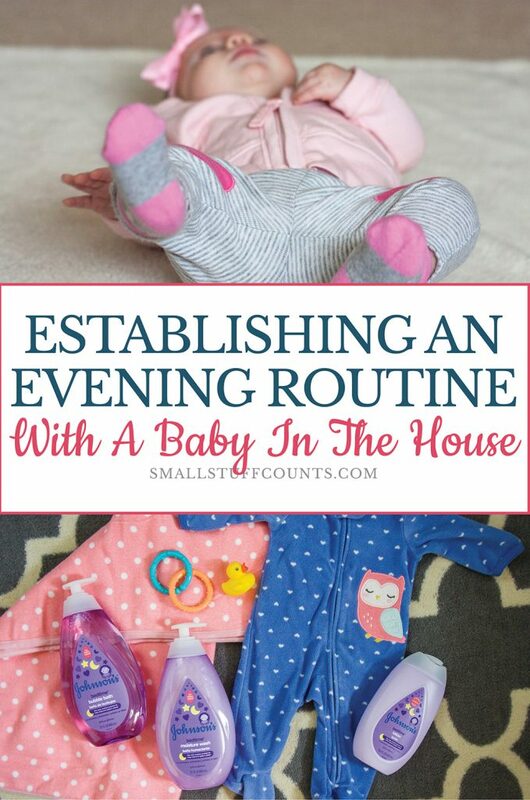 I hope you found this snapshot of our evening routine with a baby interesting and helpful! It rarely goes according to plan, but I’d say this is generally a pretty good representation of how our evenings go with a baby in the house. 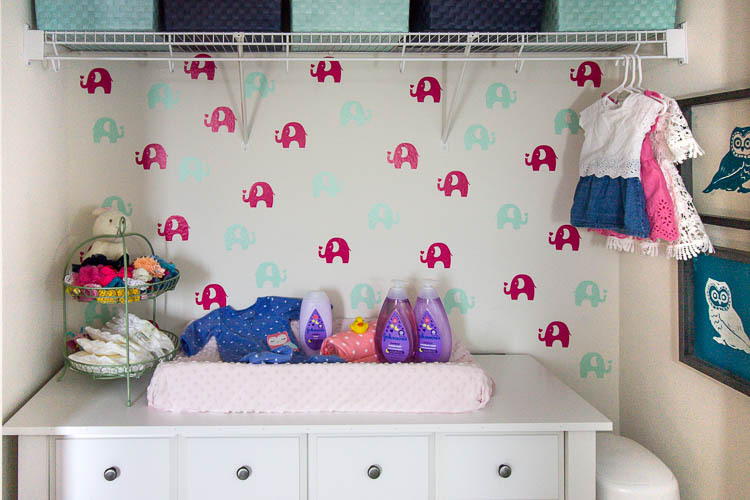 Don’t forget to check out the newly reformulated JOHNSON’S® baby products at Target! And be sure to visit Target stores on August 26, 2018, for in-store sampling.